Demos, Music, Kids Activities, & More! There is something for everyone at the Earth Day Fair! Scroll through this page for details about children's activities, live demonstrations, debates, music, and other happenings at the Earth Day Fair. Top-notch children's programming led by Bookmarks, Kaleideum, and Sawtooth School for Visual Art. And, yoga with Ms. Christine! 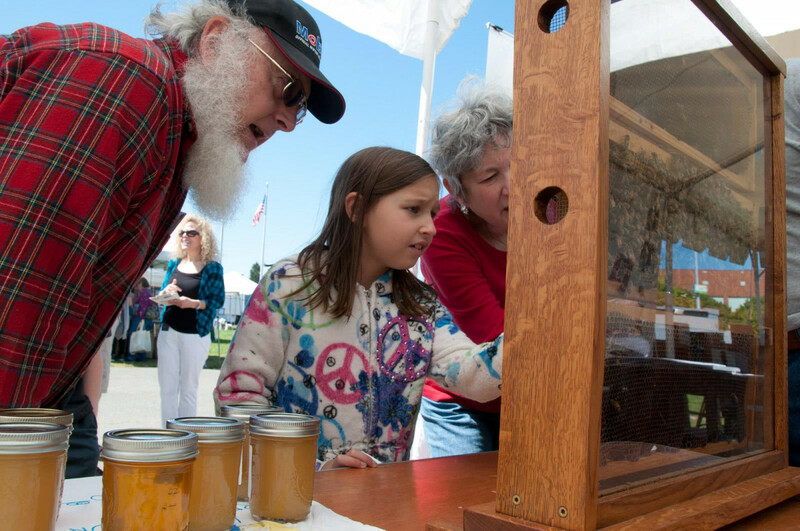 Demonstrations to Green Your Life, with hands-on demos and information to get you started with backyard chickens, urban beekeeping, waste-free living, and more. Live debate on environmental issues from Wake Forest University's Wake Debate and local high school students. The PEA Swap Shop where you can trade an item you bring for something "new to you." The fair is chock-full of activities for kids. Stop by the Children’s Corner for fun and educational activities from Earth Day Fair partners Kaleideum and Sawtooth School for Visual Arts. Visit the Gazebo for Children’s yoga with Ms. Christine and environmental stories on the hour run by Bookmarks. And, explore the fair to find earth-friendly crafts, demos, face-painting, and more for kids of all ages! Fill out an Eco-Stamp Card at the fair — the first 1,000 kids to turn in cards with at least 6 stamps will win a prize! Don’t forget to buy your PEApod pass at the fair entrance. $5 donation to Piedmont Environmental Alliance for free lemonade, popcorn, and face painting! Join Sawtooth to create a screen-print on recycled paper. The screen image will relate to Sawtooth, the Winston-Salem community, and the environment. Join Bookmarks for an environmentally themed story-time, every hour during the fair. Christine has been teaching yoga to children for over 10 years. Join her class to focus on breathing, movement, meditation, games and story-telling. Kaleideum will host a recycled materials wind chime craft and a "nature impressions" clay craft for children of all ages. Join us at the Demonstrations Tent for hands-on programming and lively discussion for fair-goers of all ages. Learn how to navigate the highly comical, sometimes bewildering, but always rewarding art of backyard chickenry. We will provide a hands-on candling demonstration for would-be incubators, answer questions about small-scale poultry husbandry, and provide easy steps for setting up a coop in your backyard. And, we’ll have a few fluffy friends for fair-goers to meet. Learn about the challenges that current emissions pose to air quality and health and what you can do about it. Then make the ultimate emissions-free car by building, tinkering, and testing a miniature solar-powered racer! Join the Forsyth Co. Beekeepers Association to learn how to make your yard more bee friendly. We'll make two versions of native bee houses and you’ll leave with instructions for making your own at home. Stop in to see the finished bee hotel, a honey bee hive, an observation hive (with honey bees) that illustrates the differences in bee species, and a native bee chart with pictures of many different bee species. Learn how to make everyday cleaners & dishwasher pods with essential oils & non-toxic ingredients. Cut down on waste and costs with easy to use recipes. Learn more about plant propagation and preserving and planting your own heirloom seeds. All attendees entered to win a plant grown at Reynolda Gardens. Get close-up and hands-on with cloth diapers of all kinds. Learn how they work, how to wash them, and how they can be a simple, sustainable, and economical choice for your family. Chestnut Street Ramblers was formed by Forsyth County Government employees who came together for a fundraising event several years ago, and they have been performing together ever since. The band consists of five experienced musicians: Pete Wright, Jason Bodenhamer, David O’Brian, Bob Ragland, Jim Matthews, and on rare occasions Dudley Watts. The Ramblers play a variety of music ranging from traditional bluegrass to swing to beach music. The Brown Mountain Lightning Bugs are a folk/Americana group from Winston-Salem with a passion for bringing original music to audiences in North Carolina and beyond. They combine their varied musical backgrounds to create a unique and fun musical experience for a wide audience of listeners. You can check them out on YouTube, and Instagram, and on their webpage www.brownmountainlightningbugs.com. Charlie Ray Knight with John Cox grew up in a red clay Guilford County dairy farming family attending every gospel sing and square dance in the surrounding area. He has performed in various Bluegrass bands over the years, most recently as vocalist and rhythm guitarist for the local band, Sweetwater. 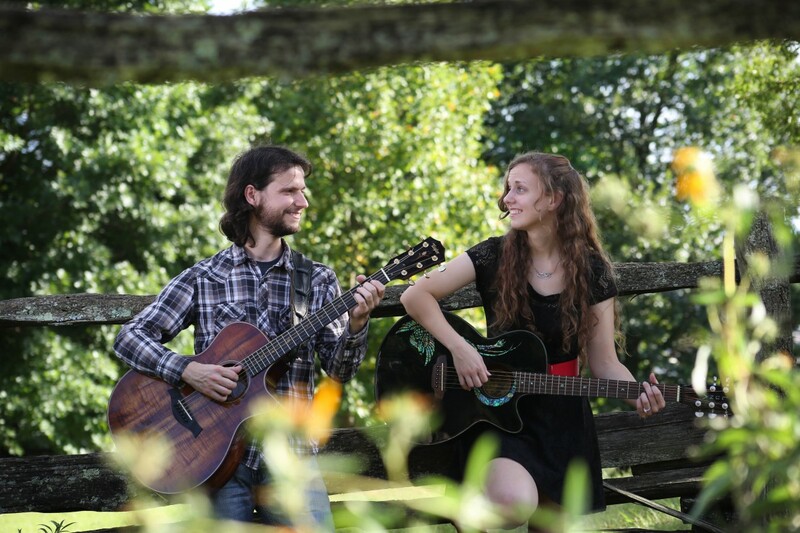 Currently heading in a new direction, he’s half of Needham & Knight, a duo with songwriter Bobbie Needham, performing original music as well as a few favorite tunes from other songwriters. John Cox, a wonderfully talented multi-instrumentalist, will be joining Charlie Ray at this performance. Barrie Howard lends his smooth vocals, harmonica fills, and classical guitar to a unique mix of boogie, blues, and ballads. Howard has written dozens of songs and revived classics from American, Scottish, and English folklore. He also appears in his one man shows as Mark Twain and in Roots of Rock and Roll. Stop by the Debate Tent, hosted in partnership with Wake Forest University’s Wake Debate, to hear high school and university students from across the community argue both sides of a controversial and timely environmental issues. Have strong opinions? Jump into the action with a question or comment! Should Triad Cities Ban Cars? 70 students from 6 high schools in the Piedmont Triad participated in this year’s Environmental Debate Tournament, hosted by Piedmont Environmental Alliance and Wake Debate. After more than 50 rounds of debate, the semi-finalist teams of Ghazal Mizazadeh and Kiran Kapileshwari from Atkins High School and Lisa Tripathy and Himani Bhat from Mount Tabor High School will go head to head for the tournament trophy. Should North Carolina ban pig farming? Is pig farming an economic necessity for North Carolina or do the public health and environmental risks outweigh the benefits? Should North Carolina go 100% renewable? Should the state mandate that utility companies implement 100% renewable energy or do we need non-renewable energy sources to maintain a functioning electric supply. Are there hidden downsides to renewable energy? What should we do about Gen X? GenX, a chemical used in teflon, has been found in many waterways in NC and beyond. What are the health and environmental impacts of this chemical? Should we regulate the use of Gen X or would that negatively impact the economy of our state?